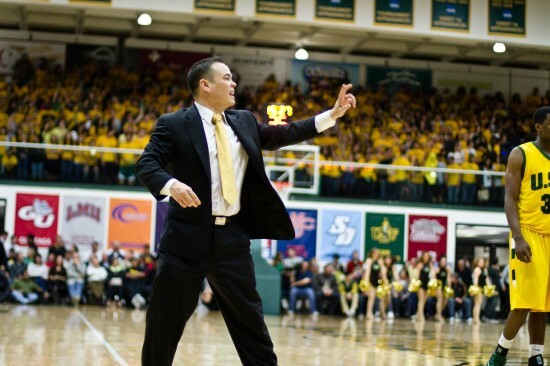 Assistant Coach Danny Yoshikawa with the USF Dons at St. Mary’s. KOBE — The Hyogo Storks, a professional basketball team, announced the hiring of a new head coach, Danny Yoshikawa, from the San Francisco Bay Area. The Storks just won the Division 2 league championship in March and will join Japan’s newly established National Basketball League in September. A native of San Jose, Yoshikawa graduated from UC Davis in 1997 with bachelor’s degrees in international relations and Japanese. He earned a master’s degree in kinesiology from San Jose State. Following his graduation from UC Davis, he spent one year traveling the world before becoming a coach. He began his college basketball career as a player at West Valley College in Saratoga, where he played two seasons (1992-94) under head coach Bob Burton, who later joined Cal State Fullerton. Yoshikawa, a point guard, earned All-Golden Gate Conference honors while helping the Vikings to a two-year record of 53-11. After his two seasons at West Valley, he moved on to UC Davis, where he played two years (1994-96) for head coach Bob Williams. In Yoshikawa’s two years at Davis, the Aggies won a pair of Northern California Athletic Conference titles and advanced to the NCAA Tournament each year. As a senior, Yoshikawa was named NCAC Player of the Year, All-NCAC and UC Davis Male Athlete of the Year. In his four seasons as a player, his teams went 100-29. Yoshikawa began his coaching career in 1998 at West Valley, where he spent three years as an assistant to Burton. He was then named head coach at Cañada College, where he went 20-10 in one season before returning to West Valley, where he replaced Burton. Overall, Yoshikawa’s six-year community college coaching record was 164-57 (.742). Yoshikawa recorded a 144-47 record for a .753 winning percentage over five seasons at West Valley and guided the Vikings to a pair of Golden Gate Conference titles, five California State Community College Tournaments and two Elite Eight appearances. In 2006, his team advanced to the state championship game and he was named California State Coach of the Year and Golden Gate Conference Coach of the Year. In 2007, with just four returning players from the squad that advanced to the state championship game, Yoshikawa’s team went 24-9 and won its first round game in the state playoffs. 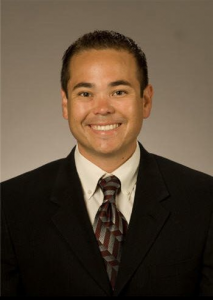 After being selected as an assistant coach under Williams on the men’s basketball staff at UC Santa Barbara, Yoshikawa made an impact, helping the Gauchos to a 23-9 record and a berth in the 2008 NIT Postseason Tournament. At University of San Francisco, Yoshikawa joined the staff of head coach Rex Walters, one of the first Japanese Americans to play in the NBA. The Dons made tremendous strides in the last two seasons, posting their first 20-victory season in 30 years in 2011-12 and advancing to the postseason for the second straight year — a feat last accomplished by the program in 1980-81 and 1981-82. In a video recorded in San Francisco and posted on Facebook, Yoshikawa introduced himself to Storks fans. “First and foremost we want to win, but we also understand that winning is a result of a process, and we are going to be focused on the process in terms of getting to where we want to go,” he said. “We want to develop the young players. We want to make the young players of Hyogo the best players in all of Japan … They’re going to have a bright future and obviously we will too. “We want to make it so that we are special, that we’re extraordinary in our community … It’s not just going to be a team of professional basketball players; we are going to get out in the community and we want the community to come to us and support us. Visit the team online at www.storks.jp or www.facebook.com/hyogostorks0309 (Japanese only).